Former Chief Executive Officer (CEO) of defunct UT Bank Ghana Limited, Prince Kofi Amoabeng has been accused of defrauding the Government of Ghana and Lushann International Energy, Ghana Limited to the tune of $102,418,204 million. 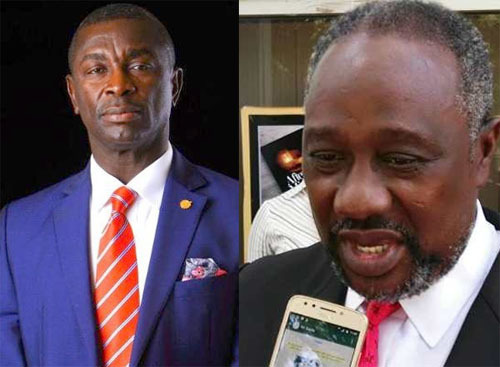 Kofi Amoabeng’s UT Bank, which was a financial empire for a long-time in Ghana’s banking history, collapsed in August 2017 after Bank of Ghana (BoG) declared it insolvent and appointed GCB to take over its assets. Officials of UT Bank had reportedly claimed that Lushann International Energy Ghana Limited’s alleged GH¢84 million indebtedness to the Bank was part of the reason for its financial stress which finally caused its collapse. Continuing, he added that, Amoabeng through an arrangement with Auxesia Energy Limited, engaged in money laundering involving $61 million using the name of Lushann. When the clandestine activities were discovered, he said, Lushann reported it to the National Security apparatus namely the Economic and Organized Crime Office (EOCO), Bureau of National Investigations (BNI), Criminal Investigations Department (CID) of the Ghana Police Service in June 2014 and July 2014, respectively. “The sad aspect of it all is that the national security apparatus did not act for unknown reasons,” according to Mr. Sintim-Aboagye. He said after the matter was reported to national security, his private residence and the office of Lushann were attacked by unknown persons apparently to destroy evidence the company and himself had in their possession against Mr. Amoabeng and his ‘criminal’ gang. Mr. Sintim-Aboagye said in line with the US Overseas Fraud Act, he later reported the matter to the US Embassy in Accra. Efforts to reach Mr. Amoabeng to get his side of the story proved futile.